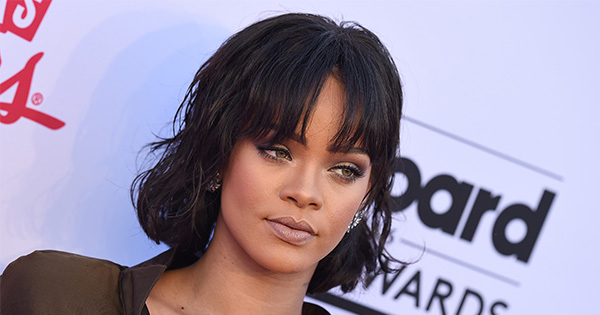 By now, we all know that Rihanna is the queen of literally every single hairstyle. Like, every single one. From bangs to the lob to the middle part, to any color under the sun, she looks absolutely beautiful no matter what she does with her hair. Because that’s what happens when you’re Rihanna. Like, seriously. Look at her! She. Looks. Amazing. With 1.3 million likes, the selfie is clearly a fave, and with good reason. But, Refinery29 points out, there’s more to this look than just how stunning Queen RiRi looks. ICYMI, the caption is a reference to the popular Bob Marley song. The song lyrics combined with the inherent rebellion of a black woman with dreadlocks in today’s day and age (aka one that continues to discriminate against dreadlocks among other natural black hairstyles) makes this so much more than just such an amazing look. It’s a statement. "Dreadlock Rasta, Buffalo solider. u can do no wrong style attitude and grace u are the true definition of a woman in charge." Rihanna, you remain ah-mazing. Thanks for the continuous inspiration, you amazing lady!